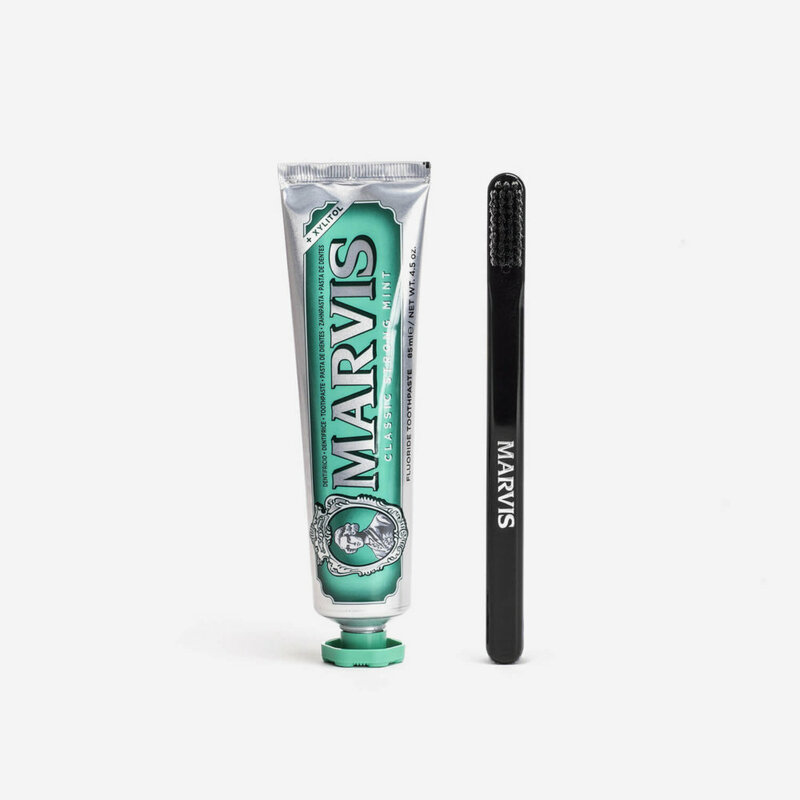 Marvis’ Classic Strong Mint Toothpaste and Toothbrush in a black rubber zip bag. Ideal for travel. Classic Strong Mint Toothpaste (85ml): a rich, creamy toothpaste with a fresh peppermint flavour. Toothbrush: black toothbrush with medium strength black bristles. Includes a plastic travel cover for the head. 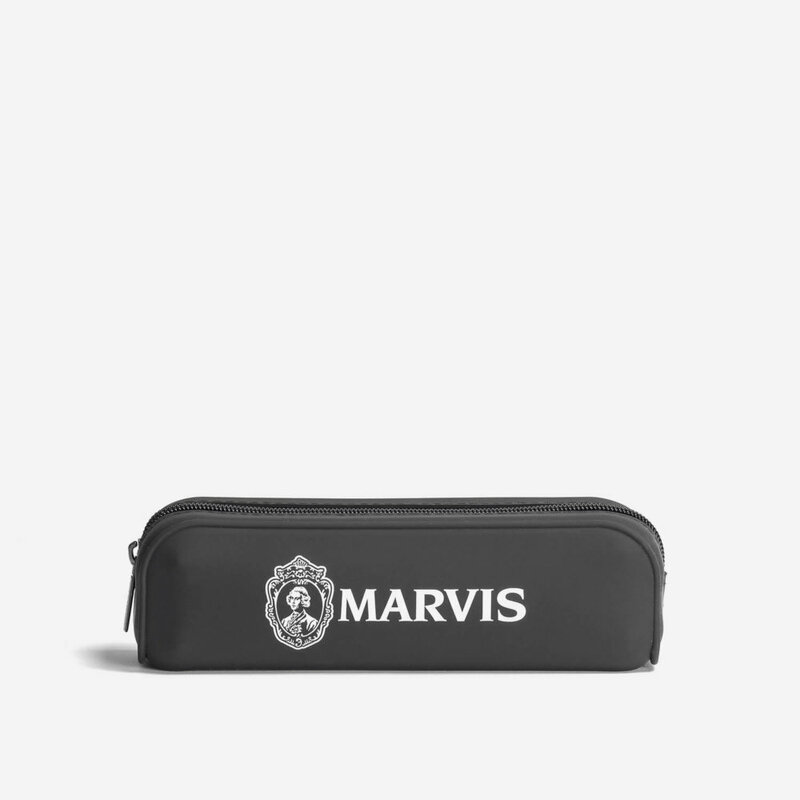 Zip Bag: black rubber zip bag suitable for storing one toothbrush and one tube of toothpaste.